Also, VKS won't be acquiring any more Su-30 from KnAAZ. Interesting. Aircraft are second hand because deliveries have been fast. Maybe China. It will be a while before Y-20 is ready. NAPO and Irkut are one line (Su-34 and Su-30SM, respectively) each while Knaaz is narrowing down towards just Su-35 (only leftovers being Su-30MK family exports). Irkut talked about phasing out Flanker production at the end of this decade, so that would narrow it down to just two lines. That was before they got big domestic orders and a number of export contracts, so it maybe pushed back a few years...but either way that line is profitable and well-oiled. When did Janes become so ****e? That news article is convoluted and one cant tell anything from it. In what world is PD-14M based on PS-90A? PD-14M is based on PD-14 and i assume it has FADEC the Indians whine so much about. Are they talking about "refurbished" ones? If so, it is old news. And I am pretty sure they are... The deal was done 4 years ago? And deliveries started 2 years ago. Maybe this is the end of it. I know.. They have only ordered the Su-30M2s as trainers for their Su-27SM/SM3s. Yes, I have always wondered about the origin of those Su-30. China cancelled Su-27SK production license, and there were no Su-30 contracts cancelled. According to news agency "Interfax-AVN", citing a source in the aircraft industry, the first four of the IL-114 will be built at the Nizhny Novgorod aircraft building plant "Sokol" of production touched Tashkent aircraft factory in 2018. The source added that in parallel to the "Falcon" will be organized assembly of advanced aircraft IL-114-300. "The first such aircraft will be ready in 2019", - he said. The interlocutor of the agency noted that until 2012, mass production of IL-114 was conducted in an aircraft factory in Tashkent, then the plant switched to other products, releasing a total of 17 machines. "On an aircraft factory in Tashkent was a production backlog for aircraft IL-114. With the aircraft factory negotiations, and he is willing to sell everything you need from the product backlog to build on the" Falcon "first Il-114. This will accelerate the deployment of mass production of this type of aircraft in Russia ", - said the source. According to him, in the United Engine Corporation assured that the problems with the supply of engines TV7-117SM for IL-114 will not. "The interest of the military to patrol version of the Il-114 also weakened, as it has a duration flight of at least 11 hours and allows you to install it on all the necessary equipment to patrol," - a spokesman said. He recalled that the international military-technical forum "Army 2015" United Aircraft Corporation unveiled a prototype of the modernized Il-114, converted into a patrol aircraft for law enforcement agencies. It is expected that sales of the Il-114 for various customers from 2019 to 2030 will be about 320 aircraft. The maximum production capacity - 24 cars a year - must be achieved in 2025. According to the plans the production of the first prototype can be delivered in the years 2018-2019, and by 2025 customers may be transferred to up to 24 of these aircraft. Lots of Su -35 stationed in far-east Russia. It must be related to its good mission range. Or the fact that Knaaz is nearby . 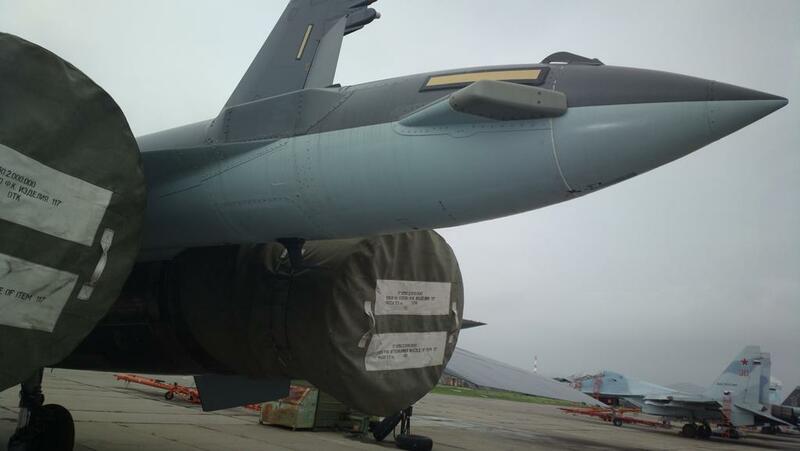 Good to see that the Su-35's production/induction issues seem to be slowly getting regulated. United Engine Corporation (UEC) is preparing for the creation of high-thrust turbofan engines for advanced civil aircraft. As told at the last in the Central Institute of Aviation Motors (CIAM) Conference "Aero Engines of XXI Century" Deputy General Designer of the corporation Victor Belousov, to this end, a member of the JDC Perm company "" OAO is studying the possibility of increasing the gas generator of the new PD-14 engine. PD-14 with a thrust of 14 tons is designed for Russia's new single-aisle aircraft MS-21. In late October began its flight tests on a flying laboratory IL-76LL. According to the chief designer of the engine family of PD in the company "" OAO Igor Maximov, in the line of big motors base is supposed to make the PD-35 with a thrust of 35 tons. For the new plant is expected to scale gasifier from the PD-14 with the addition of an extra step at the outlet of the high pressure compressor . As a result, the number of compressor stages and turbine PD-35 will be 9 + 2, the diameter of the inlet to the compressor will rise to 815 mm compared to 582 mm for PD-14. It is assumed that the diameter of the fan motor will make a new 3100 mm, length of the engine - more than 8 m, weight - about 8 tons. On the basis of the PD-35 will be developed with a thrust power plants 28 (PD-28) and 24 m (PD-24). The first two engines planned to offer two options and chetyrehdvigatelnyh promising widebody long-haul aircraft, the last - to haul widebody aircraft and long-term heavy military transport aircraft, it was noted in the presentation of the representative of the "" OAO. Victor Belousov said that similar work on the high-thrust engines lead to other enterprises of the holding - in Samara company "Kuznetsov". It considered the possibility of the development of power plants thrust up to 35 tonnes on the basis of the gas generator of the turbojet engine NK-32, which is now installed at strategic bombers Tu-160. According to Belousov, both options are considered as a promising power unit with direct drive and driven through the gearbox. 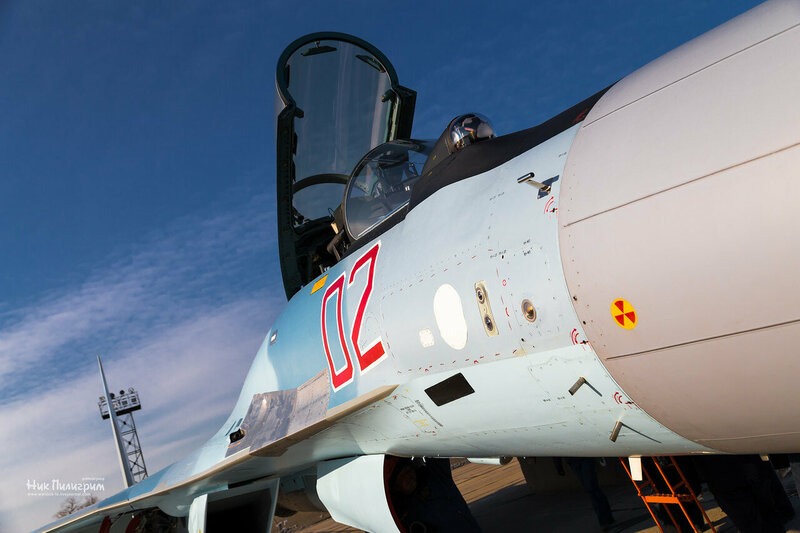 Nice pics, including new Su-35s. What this sensor behind radome ? The two in parallel seems to be MAWS but what is the one directly behind radome ? From the picture it seems these MAWS covers the frontal 180 * of the aircraft there is no aperture at the rear side or underneath the fuselage . 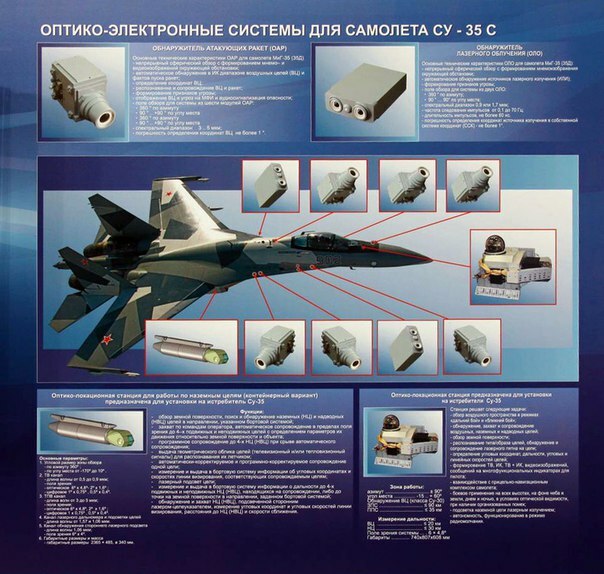 Does the picture cover all the placement areas or Su-35 does not cover 360 * bubble for aircraft ? How does single aperture differ from twin ? Last edited by Jō Asakura; 18th January 2016, 13:01. Reason: Duff link. Underside of the stinger has an air-ground link antenna and the triangles on the stinger are RWR's. Since 2014 production the stinger flare boxes has been moved to the underside of the stinger.